Throughout his career, Charles Otis Whitman studied embryology, morphology, and animal behavior. Beginning in 1888, he served as the first director of the Marine Biological Laboratory. Whitman helped found the Biology Department at the University of Chicago in 1892, and served for many years as its director. Whitman was born in North Woodstock, Maine, on 14 December 1842. After graduating from Bowdoin College in 1868, Whitman moved to Boston to teach natural science. In Boston, he met Harvard University Professor of Zoology Louis Agassiz and, in 1873, he attended the first session of the summer marine biology program at the Anderson School of Natural History on Penikese Island, off the coast of Massachusetts. One year later, Whitman joined the Boston Society of Natural History. In 1875 Whitman visited the Stazione Zoologica in Naples, Italy. He then moved to Leipzig, Germany, where he received training in embryology and microscopy. In 1878, Whitman obtained his PhD from the University of Leipzig with a dissertation on the role of cleavage during histogenesis. Whitman demonstrated that leech embryos work as a whole in regulating the development of each cell. In 1879 Whitman accepted a professorship at the Imperial University of Tokyo, where he remained for two years. In 1881 Whitman returned to the Stazione Zoologica in Naples, where he remained until 1882, studying dicyemida (parasites that live in cephalopods). Following his time in Naples Whitman worked with Alexander Agassiz at the Museum of Comparative Zoology at Harvard University until 1886, after which he moved to Wisconsin where he directed the Allis Lake Laboratory. During the summer of 1888, Whitman was invited to direct the newly established Marine Biological Laboratory, a summer research institution in Woods Hole, a position he accepted and held until 1908. In 1889 Whitman left the Allis Lake Laboratory to join Clark University in Worcester, Massachusetts. In 1892 Whitman became head of the biology department at the University of Chicago. 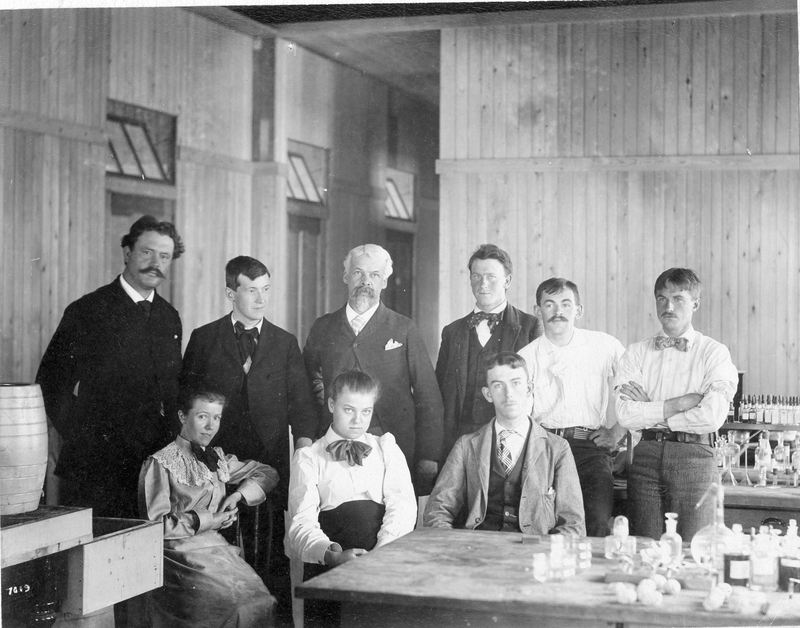 Among his students in Chicago was Frank Rattray Lillie, who became the second director of the MBL, after Whitman resigned in 1908. In Chicago, Whitman also worked with Jacques Loeb, Franklin Paine Mall, Albert Davis Mead, Shosaburo Watase, and William Morton Wheeler. Whitman remained at the University of Chicago until his death on 6 December 1910. In his later work, Whitman analyzed the difference between innate and learned behavior as well as the way animals adjust their behavior based on experience. Whitman helped found different journals and organizations, including the Journal of Morphology, the Biological Bulletin, and the American Morphological Society.